This story was produced by the Cut Bank Pioneer Press as part of The Montana Gap project, in partnership with the Solutions Journalism Network. Bobbing his head to the music, swinging his brown, jaw-length hair from side to side, Jack Pierre sang dramatically along with the music, the Killers’ “Somebody Told Me,” sometimes letting the strident vocals of lead singer Brandon Flowers take over, other times belting out the music in his own clear tenor. Jack recorded it about a year before he died by suicide in August 2016. This Jack, caught in a video goofing around, enjoying music, “his outlet,” is the Jack his family and some friends knew. But Jack, who dealt with mental illness and suicidal thoughts from a young age, also struggled to relate to his peers and gained a reputation as being a scary kid, his mother, Jennifer Van Heel, said. Van Heel tried for years to get Jack appropriate help, which at various times included medication, counseling and inpatient treatment, but nothing seemed to improve his quality of life in a substantial way. Rachael Skiera, a friend and classmate of Jack’s, said that while she knew Jack was bullied in school, she did not see him publicly show a negative reaction to the bullying. “Looking back on it, he was probably just trying to protect himself from getting hurt,” Skiera said. 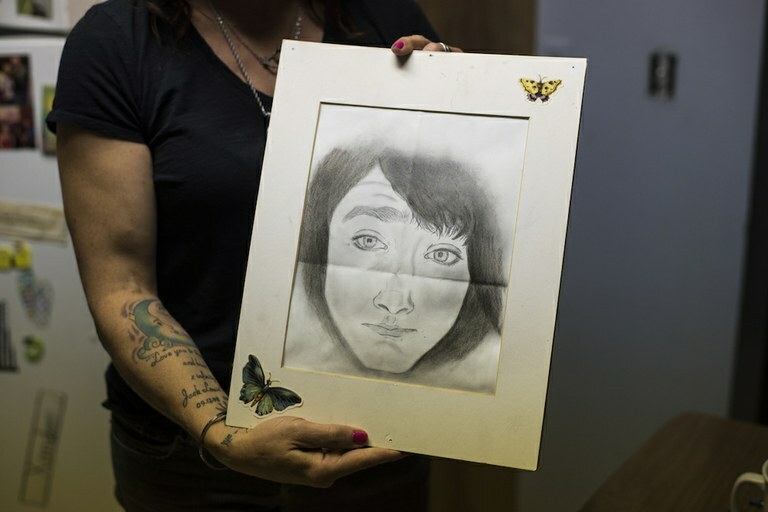 Jennifer Van Heel holds a portrait drawn by Jack Pierre's long-distance girlfriend of two years, Edith Dively, during a Skype session. Dively met his family for the first time during his celebration of life. In 2016, when Jack ended his life, Montana led the nation in its suicide rate, according to the Centers for Disease Control and Prevention. Nationally, suicide regularly ranks within the top-ten leading causes of death, according to the CDC. The 2017 Youth Risk Behavior Survey of Montana’s adolescents, compiled by the Montana Office of Public Instruction, found that 20.8 percent of students reported having seriously considered suicide in the past year, while 9.5 percent of students reported having attempted suicide at least once in the last year. But suicide in Montana affects all age groups. The 2016 Suicide Mortality Review Team Report, published by Montana Department of Public Health and Human Services, indicates that more than half of all suicides in Montana between 2014 and 2016 occurred in people between the ages of 35 and 64. Yet suicide is a leading cause of death for young people, the report states. The majority of people who killed themselves had mental health issues and many had exhibited warning signs, according to the report. To that end, Dager said the local community has worked hard to provide mental health first aid training to parents and educators and to raise awareness about adverse childhood experiences, such as physical or emotional abuse, which may affect a child as they grow into an adult. Contemplating suicide does not necessarily mean one has a mental illness, she adds. Many people at some point or another in their lives go through times where they think about ending their lives. Jennifer Van Heel stands under the pavilion where her son's celebration of life was held. The celebration was on what would have been his 18th birthday. From a young age, Jack displayed character traits that set him apart. “When he was 5, he wanted to move to the rainforest to save all the snakes. And it always disappointed him how little everyone cared about how the snakes and everyone else were impacted,” Van Heel said. Jack would continue this way, showing concerns for big-picture problems that many of his friends had difficulty relating to. “He was always way more worried about huge things and wanted to try to fix everything,” she adds. As he grew older, he read voraciously. He checked out books from the library that had not left the shelves for decades, exploring with Leo Tolstoy and Salman Rushdie. He became interested in world religions. “Jack was looking for answers and why he was the way he was and why he didn’t fit into society,” Van Heel said. When his exhaustive study of religions did not satisfy him, he turned to science and became interested in quantum physics. He loved to tell his mom about what he had learned. People who knew Jack learned not to argue with him on subjects he had studied because he had his facts on hand. “He was smart and against the grain a lot of times,” Van Heel said. Skiera remembers Jack being smart and applying that intelligence through his sense of humor. She moved to Shelby as a fourth grader and, because their last names fell near each other in the alphabet, often found herself near Jack in the seating order in class. They became friends. “He was very intelligent, very witty, quick to make jokes, but never taunting or mean about it,” Skiera recalls. Jack loved children, especially babies. Children under 5 were not cynical and were not judgmental, he said. He was especially fond of his niece, Annie, who was almost a year when he died. He sang to her constantly. “Seven Nation Army” by the White Stripes was one of their favorite songs. He loved animals, especially snakes, and had several. His last was a ball python named Ash. He could relate to snakes, he would say, because they, like him, knew what it was like to be feared and not understand why. He was a talented artist and writer. He loved to sing and loved music, “everything from Jack Johnson to heavy metal that made my ears bleed,” Van Heel said. He enjoyed the outdoors and liked to run. He had sometimes contentious relationships with his siblings, but he shared a close bond with his older sister Shyanne and his younger sister, Melanie. He butted heads at times with his stepfather, Van Heel’s late husband, Casey, perhaps because they were so much alike, Van Heel said. Jack’s relationship with his father, Jason Pierre, was strained at times, but toward the end of his life, he and his dad were on better terms, and Jack even lived with him for short periods, once in Louisiana and once in Great Falls. Van Heel admits her attempts to help Jack sometimes meant she spent less time with the rest of the family, and that took a toll too. Jack’s family knew his struggles and loved him. Outside the family, some people were less forgiving. Some thought he was trouble, Van Heel said. For a while, he had dreadlocks. He painted his fingernails black and wore black eyeliner. Some peers, teachers and employers were scared by his dark outward appearance. But those who got to know him learned he was a polite young man who was well read and intelligent. As he hit puberty, his mental health problems began to compound, and his struggles began to increase. Eventually, Van Heel stopped cutting herself; instead “I graduated to tattoos because they’re prettier,” she said wryly. 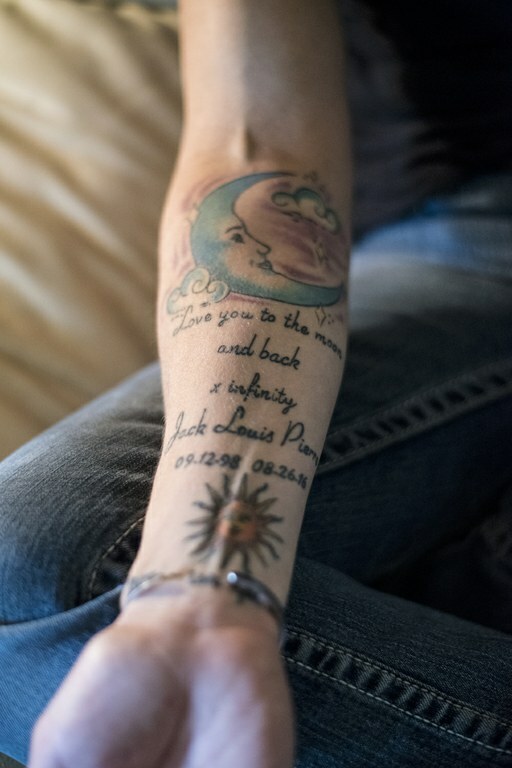 A crescent moon and the words "I love you to the moon and back x infinity" are tattooed on Jennifer Van Heel's arm. Near the end of his life, Jack went to live with his father, Jason Pierre, in Louisiana to see if a change of scenery would help with his mental health. Van Heel told him that it doesn't matter where we are, we always look at the same moon. "That was our thing," she said. For years, Jack also confided in his mother that he was miserable, that he wanted to die. “He didn’t hate himself, but enough of society hated him and let him know what a freak and how different he was and he didn’t fit,” she said. He was a burden, he would say. Everyone would be better off without him. It would be easier for everyone if he were gone. But he stuck around, Van Heel said, because he knew it would hurt people, especially her. Sometimes, Jack believed her. Other times, she knows he did not. Van Heel tried to get help for her son, in Shelby and outside of it. “I can’t even tell you how many counselors we went through,” she said. From age 7 to when he began puberty, Jack was on medications for ADHD. Those medications stopped being effective and “they kind of bounced him around” on different medications for depression and anxiety after he began puberty. They tried counseling in tandem with medication. When the side effects from the medications were too much for Jack, they tried counseling only. He tried inpatient treatment. He spent time in a therapeutic group home in Billings, which was helpful. But Jack missed home. He underwent a full psychiatric evaluation at a facility in Kalispell, where the staff helped get Jack on medications that were be more helpful for him. But still, Jack’s past mental health diagnoses seemed to follow him. Nor is she sure how she could counsel a parent enduring with their child what she endured with Jack. But she does know, for example, that parents of children with mental illness will have to be “cheerleaders” for their children, because they will need advocates. “You’re going to have to defend them, and there’s going to be crappy people you have to deal with,” she said. There were some providers who truly cared about Jack and sincerely wanted to help him, but they were ultimately unable to do so. While Van Heel is grateful to those who tried, she also acknowledges that finding the best providers may mean going far from Montana. Jack Pierre hated that “he did not fit into what society thought he should be, and nobody would accept him for what he was or allow him to just be,” shared his mother, Jennifer Van Heel in a recent interview. 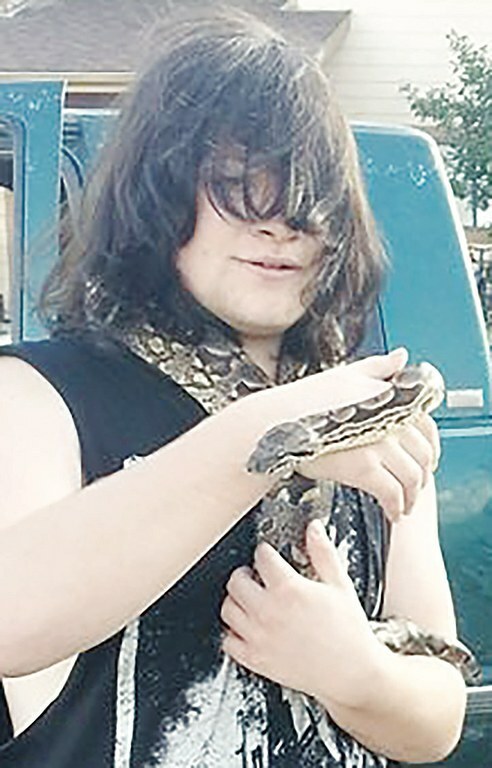 Jack, pictured with his snake, Ash, ended his life on Aug. 26, 2016. Toward the end of his life, as he approached his 18th birthday, Van Heel knew Jack’s situation was worsening and that there was little she could do to help him. 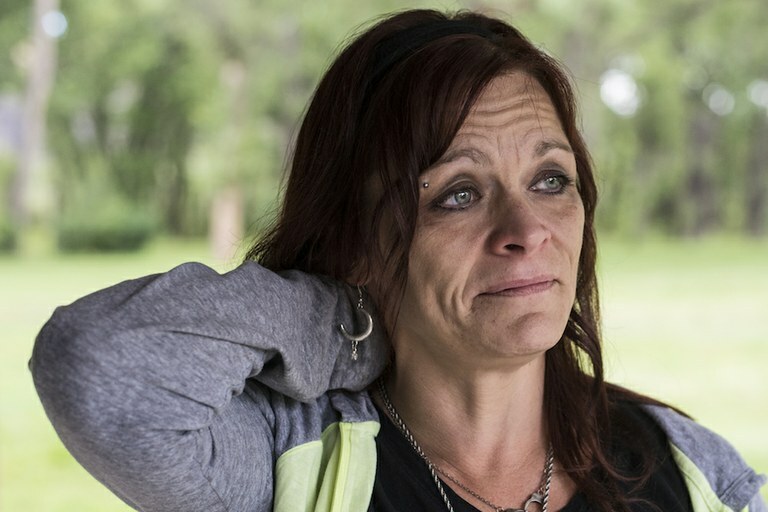 As he abused pills and alcohol, she considered getting him into short-term inpatient treatment, but she also knew that it would take time to find him a bed in a facility. If he turned 18 before that could happen, the rules of the game would change. Jack would be an adult and could make his own decisions. “That was the rock and a hard place I was in the last month of his life. I knew we were drowning, but he was done with the help… Yes I could get him a 72-hour commitment, but it would result in him walking out of there in 72 hours no better off,” she said. On Friday, Aug. 26, Jack ended his life. Van Heel found his body at a neighbor’s house. She chose to celebrate Jack’s life on Sept. 12, on what would have been his 18th birthday. About 100 people attended, from “all walks of life,” she said. Those attendees included everyone from the local clergy he had discussed religion with, to officials from Montana’s Office of Public Instruction who had helped Jack with his special education plan; from people he had worked with at his jobs over the years to the school cook who often ate lunch with him in elementary school because he usually sat alone; from his girlfriend, whom he met online but had never met in person, to the small cadre of friends who had stuck by him. “Jack would have been amazed at the people. He never would have guessed that it would have come to this,” she said. The people at Jack’s celebration all shared one thing in common. They had all taken the time to get to know Jack. They had discovered that his outward appearance may have seemed intimidating, but on the inside, he was just a young man trying to find answers and hoping to be respected. It is because of Jack’s desire for respect that Van Heel wants to talk about him and his death. “I want people’s perspective of people who are different and have mental illnesses to hopefully change so it’s not such a horrible label to have, and make you somebody society shies away from because they are scared of you and figure you’re and freak and don’t fit,” she said. What Jack craved was to be respected as an individual. Van Heel hopes people take that to heart. “It costs nothing to bite your tongue, smile and be decent. It can cost someone so much with one nasty remark,” she said. To that end, his life and death have had ripple effects. His younger siblings, Xander and Melanie, have taken to heart the importance of kindness. Melanie tries to be kind to everyone and speaks out against bullying; Xander received a citizenship award at school for looking out for his classmates, Van Heel said. Skiera went through a period of questioning whether she had missed warning signs. She and other classmates spearheaded an effort for Jack and another classmate who died to be remembered at their high school graduation ceremony in May 2017. Since Jack’s death, Van Heel has counted each Friday as it passes. She thought she would stop her count at 52 – the one-year mark – but it has continued. Each Friday morning, she writes Jack a note to tell him what has happened in the last seven days. “Not that he doesn’t know what’s going on, but that’s what I do,” she said.